The test for the three boys of Team Dragaon still continues. Mister Up shoots Kachia Gell which knocked out Rise Dragaon. 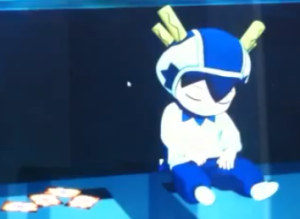 Harubaru thought Dragaon disappeared but Raichi inform him to look up in the ceiling there he found Dragaon. Tatsuma’s partner declares their second gate card and it’s the last one for their paired team. Mister Up challenge the other pair to fight with all their might. 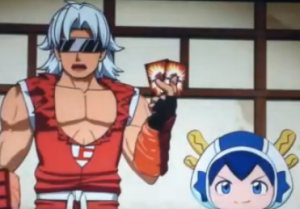 Raichi made Munikis stand on the last two gate cards. Tatsuma was ordered to take his turn and he was also baptized with a name of Tatsujin meaning Tatsuma possessed by Jinryu. 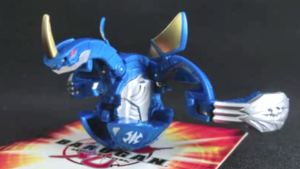 He managed to shoot his Bakugan with less force thus putting Jinryu on the opposite gate card that made Mister Up furious while shaking Tatsujin. Mister Up again concentrated in unleashing his flames to shoot a critical K.O. on Hollow Munikis. 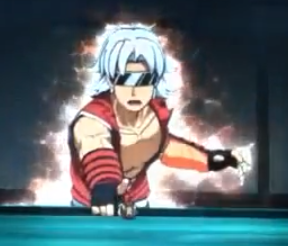 Seeing the flames Raichi got worried with Munikis being thrown up in the ceiling luckily it landed outside the gate card. Raichi had his turn to shoot Hollow Munikis but for some reason it went to a different direction. Mister Up explained it was because some remnants of force left by Gell. 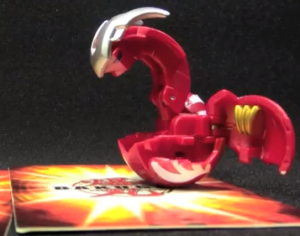 Tatsuma once again ordered to shoot Jinryu though it was weak but the Bakugan managed to stand on the gate card. Harubaru inflicted critical knocked out on Jinryu. That made them equal with other team for the last one gate card. Mister Up did not see it that their opponent can caught up despite of their lead. 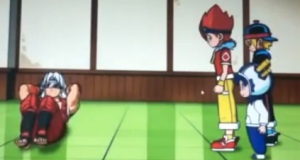 He made sure to release his frustration by slamming Tatsuma in a sit-up movement. Harubaru and Raichi were worried for Tatsuma as being abused by Mister Up. 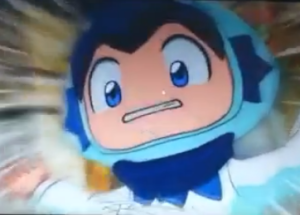 Tatsujin take another chance to shoot Jinryu and he was able to release it with enough force. Harubaru retaliated by shooting Dragaon but Gif Jinryu fight back and throw back Rise Dragaon. This time, Mister Up was able to give Tatsuma a cheerful smile. Mister Up made sure to knocked out a double stand against his opponent but instead he was able to inflict it on Jinryu pushing it hard on the wall. Harubaru will have his turn of shooting on the next episode. Every episode the Team Dragaon is having an intensive training in preparation for the biggest event the Tavanel Cup. In the temple of Master Quilt, he is managing the game of two brawlers. 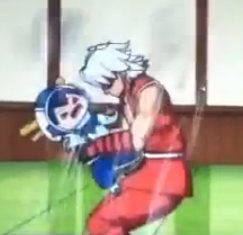 One player is in a blue overalls while the other has red overalls and white hair. 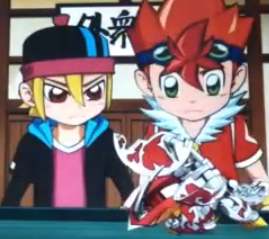 After their great fight, where both men made their respective Bakugan stand on two different gate cards with all the explosion and collision between two Bakugan. Master Quilt thought will he be able to find another fighter equal with these two men at this certain period of time? Master Quilt shall never lose hope cause someone with great strength will come out at the Bakujan Dojo under Master Shimo’s class. 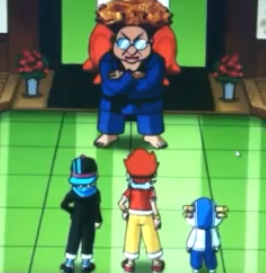 The three boys were gathered by their master and was told that there will be a battle to prove as the Greatest BakuTech. And so, Master Shimo send someone who will oversee this battle as well as to examine the determination of each boys in an actual brawl. Harubaru and Raichi express their confidence towards themselves. Before Master Shimo disappeared, he told them that he will look out for them in the Tavanel Cup. A man wearing a red overalls - appears on the floor doing sit-ups. The boys thought this was the envoy Master Shimo said he will send. The man introduced himself as Mister Up and he will examine their abilities in a fight. Curiosly Mister Up questioned each of them who uses Gif Jinryu and he was disappointed to know that Tatsuma was the one handling Gif Jinryu. Though the boy proudly presented Gif Jinryu holding it in his hand. The disbelief in Mister Up’s face cannot be contain as to why such as Tatsuma was the one using Jinryu. And no one knows why Mister Up is curios about the guardian of Gif Jinryu. Two pairs are form between Raichi and Harubaru while Tatsuma though felt insulted with Mister Up, was his team mates. Mister Up order the battle to begin. Tatsuma was the first one to shoot but he was quite hesitant to fight with Raichi and Harubaru that made Mister Up infuriated. On the other hand, the two other boys are willing to fight with Tatsuma. Feeling conscious with Mister Up observing him, Tatsuma missed to shoot Gif Jinryu accurately that made Mister Up more furious concluding on Tatsuma’s not-so-good shooting style. The two other boys depended Tatsuma that he is getting well with his style but Mister Up’s opinion cannot be changed and blamed Master Quilt for Gif Jinryu’s fortune. 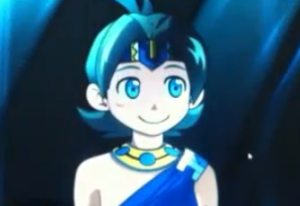 Harubaru successfully shoots Rise Dragaon on the gate card thus impresses Mister Up. The boys are wondering if Mister Up is the holder of Greatest BakuTech title for the reason Master Quilt sent him. 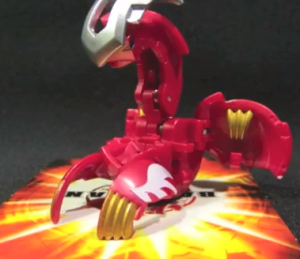 Mister Up shoots his Bakugan Kanchia Gell, and explained why it rolled very slowly because of its Gell Spring quality on top of Gell’s head but with remarkable attack. Gell tremendously inflict a critical K.O. both Hollow Munikis and Rise Dragaon away from the gate card. Mister Up got his first gate card. The three boys are in awe with the strong wave they’ve felt after the the attacked. Tatsuma was about to take his turn to shoot but he was shove away by Mister Up which made Tatsuma angrier. Suddenly Mister Up announces that Master Quilt is watching them. Master Quilt while watching the event at the Bakugan Dojo thought that guardian of Gif Jinryu should have a chance to show his capability. The next episode will be more funny and exciting as the Team Dragaon's adventure continue. Tatsuma’s adventure continues with a battle with Odos’ shade while he is bing possessed by Gif Jinryu. They are still inside the Grif’s facility. The battle will take place at the BakuThron DX. The Shade explains the rule of the game, that many gate cards will be placed outside the BakuThron DX while two gate cards put on top of the each slide. 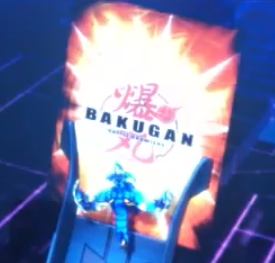 In order for Tatsuma to win, his Bakugan must have the final gate card. Aquos Dive Fujoe and Darkus Gravity Nome are both controlled by the machine. Gif Jinryu had a talk with Tatsuma asking for the latter to borrow his body inorder to settle a hundred years of battle with Dagger Odos since they’re the two Bakugan left during their time. 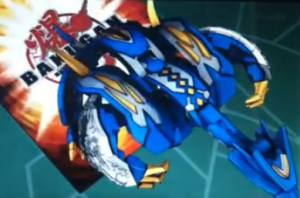 Shade of Odos will use Darkus Dagger Odos and Gif Jinryu chooses Aquos Twin Doubrew as his Bakugan. 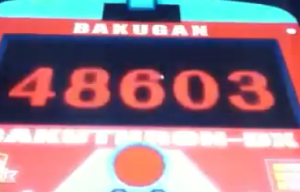 The four Bakugan went through the BakuThron DX for speed registry, putting Dagger Odos as the fastest with 48659, next by Twin Doubrew 48603, third and fourth are Gravity Nome with 48202 and Dive Fujoe with 48165. 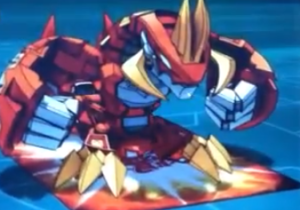 Dagger Odos got the first gate card after it crashed Twin Doubrew before it reaches the nearest Bakugan gate card. Gravity Nome had the second gate card but as he throws Dive Fujoe down Dagger Odos pop in and cut Gravity Nome in two. The third gate card is sought after by Twin Doubrew and Dive Fujoe. 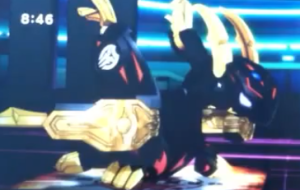 Doubrew was thrown in air by Fujoe but did not secure the third card after losing its balance for throwing Twin Doubrew. 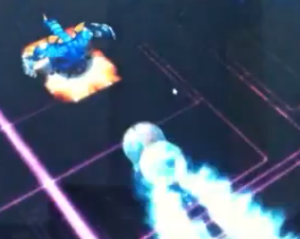 The latter landed at the fourth gate card in its Down mode after it ricochets into the big pillars. Odos’s shade mocks at the scene he just saw. The possessed Tatsuma and the shade of Odos are equal on the third round. Dive Fuji was destroyed by Dagger Odos and landed on the fifth gate card while Twin Doubrew landed on the sixth gate card after Odos’ attack. In the final round the two nemeses went through the BakuThron DX’s speed registry showing both had equal speed. In the spiral track Dagger Odos bump Doubrew into the track’s wall causing the latter to fall down. Twin Doubrew manages to go up in a different direction, upon seeing the change of scene Odos’ shade got terrified that the game is not yet over. 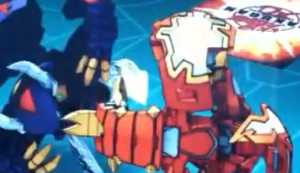 As the two Bakugan collides in midair, Doubrew destroyed Odos’ dagger and manages to stand on the vertical gate card placed on top of BakuThron DX. Gif Jinryu left Tatsuma’s body after winning against Odos’ Shade. In preparation for the Tavanel Cup, Team Dragaon is back at the Grif’s Bakutech Facility. A center where they can fix and maintain their Bakugan. 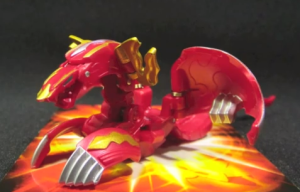 Three Bakugan are under maintenance when Harubaru saw these and is interested to put in Dragaon. 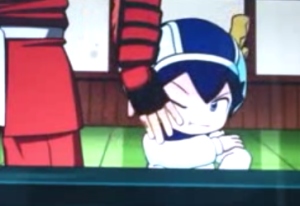 Raichi advice him his turn well come after Gif Jinryu – Tatsuma’s Bakugan is done with the process. 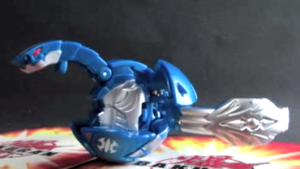 Bakugan namely Aquos Twin Doubrew and Darkus Dagger Odos. 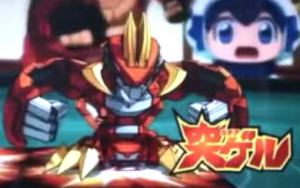 Sho ask Tatsuma to test the new Bakugan. As Tatsuma tapped the glass cover suddenly Dagger Odos popped out that everyone, Sho commented that it was unusual for Odos to pop without even metal contact. Tatsuma saw a strange vision as Odos’ purple eyes glowed. He saw mountain size of broken Bakugan. 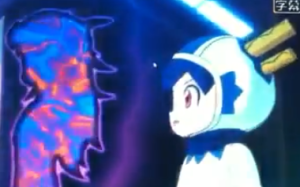 Sho awakened the stunned Tatsuma as the latter choose Aquos Twin Doubrew to try. At the Bakuthron DX, Harubaru appointed himself to teach Tatsuma the rules in playing. 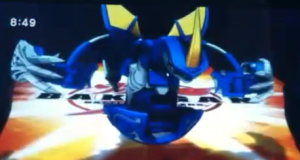 Rise Dragaon was released at the Bakuthron DX’s slide but it was too strong it went straight down. Raichi commented that too much force is not the way to win the course. Tatsuma pessimistically took his turn acknowledging his pitiable shooting skills. Sho Grif announce his confident in Tatsuma’s ability and of Twin Doubrew. 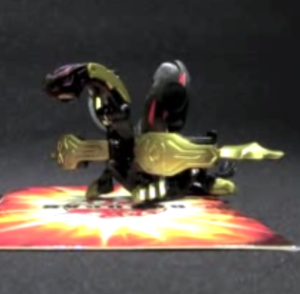 Upon shooting the Bakugan Twin Doubrew, it exactly pop out at the gate card. Few seconds later it started to bend forward and was about to fall. Only to find out that Twin Doubrew’s other part got activated. 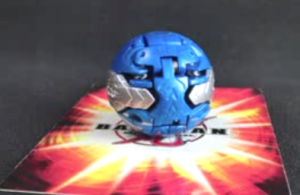 Sho said that Doubrew is a exceptional Bakugan that it has a two face the “up mode” and “down mode”. Tatsuma got excited with his new discovery thus Harubaru felt more challenged with the competition. After the 5 boys were done with their session, strange things happened when Tatsuma went back to get his forgotten gate cards on the table. As he was about to leave he heard scary voices at the maintenance vessel. Approaching the glass vessel he saw Gif Jinryu quarrelling with Dagger Odos. The scared Tatsuma shouted that infuriated Dagger Odos, wondering who is the person outside the glass vessel . 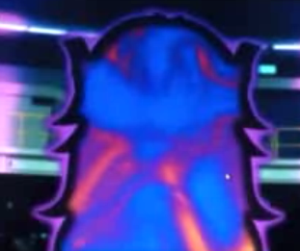 Tatsuma was about to run and warned the other but a purple light covered the area indicating that Dagger Odos popped out. 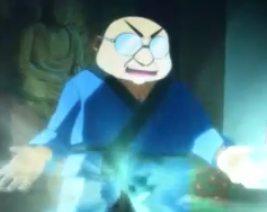 The Bakugan manifested a shadow of himelf that made Tatsuma more terrified. The boy threw his gate card but went through the Dagger Odos. It was about to come after Tatsuma but a blue light of Jinryu glowed possessing the boy to protect him from the Dagger Odos. 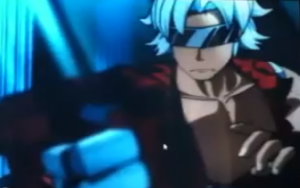 Tatsuma’s eyes glow with bright red and challenged Odos for a battle. Dagger Odos’ hunger for a battle after a hundred years accepted the challenge. Odos created a battlefield like a BakuThron DX added with an illusion of two other Bakugan called Aquos Dive Fujoe and Darkus Gravity Nome. 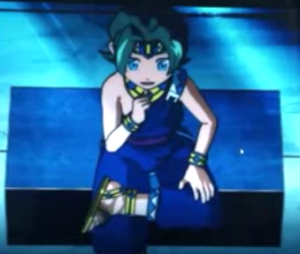 The possessed Tatsuma knew who are the two Bakugan and Odos’s shade inform him he rejuvenated the two from the depths of the underworld for the battle. Tatsuma courageously accepted the battle. Our friends from Team Dragaon – the underdogs - will now face a battle against the two witch Masters as they fight for their tavanel. Tatsuma was released by Master Grizz earlier. With the display of determination and strong will to fight, the two masters welcome it by shooting their Guardian Bakugan up in the air so high, as the boys wondered how far will it end. The mood change when a thick fog appeared as the giant Gus Burnan suddenly shows. The boys wondered where it came from while a weird sound can be heard from the other side. Until one by one gigantic Killer Volca, Nata Nagina , Zak Jaguard and Gigan Taures rolled in to stamp on the boys. Team Dragaon run fast while Tatsuma slip and loses his gate card and ability card. He was saved by Harubaru and Raichi away from Nata Nagina. 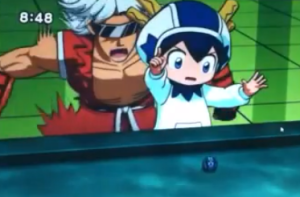 Raichi learned that Tatsuma was saved when the giant bakugan open up after its magnet touches the fallen gate card of Tatsuma. Raichi thought of a plan to beat the gigantic Bakugan , that is to throw everywhere their gate cards as it touches the Bakugan and open up. The plan has worked well while the Gigantic Bakugan served as their protective wall against a new set of humongous Bakugan is attacking them Sha Nozuchi, Blan Shoult and Mike laurel. While the two boys are thinking of a way out, Tatsuma saw a staircase and run after it. He saw the two Sechs Tavanel of Harubaru and Raichi. The three boys are running down the stair when the ground divided into two. 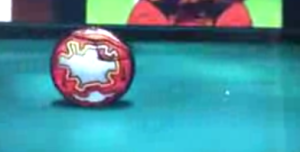 Tatsuma get down first and tried to get the two tavanels but he was stopped by two fast-moving Bakugan. 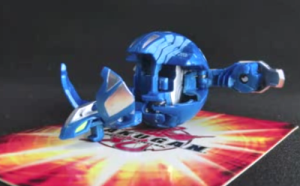 The boys discovered that the two Bakugan are Win Dmill and Hugger Dguma owned by Master Odore and Master Grizz respectively. Rise Dragaon’s movement was averted by Win Dmill back to Harubaru. Raichi took his turn shooting against Hugger Dguma but was intercepted by Win Dmill on top of the floating gate card, deflecting Hollow Munikis back to Raichi. Harubaru took turns by shooting "BakuTech Yaku Ichimonji Shinari Uchi" (Burning Straight Line Bending Shoot) but was intercepted by Hugger Dguma with Hug Bear on top of the gate card returning Dragaon back to Harubaru. The three boys run out of idea how to fight the two Bakugan, Harubaru thought of shooting both Rise Dragaon and Hollow Munikis together to break Win Dmill and Hugger Dguma. As the Gigantic Bakugan began to break free Sha Nozuchi knock down Gigan Taures down the staircase. Tatsuma saw the unfolding event and warned the other two boys that will be in great danger. 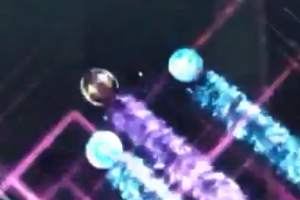 Harubaru and Raichi courageously shoot their Bakugan together against Win Dmill and Hugger Dguma, which they inflicted critical knock out and took over the floating gate card. Thinking it was over another danger rolled down on them again saw by Tatsuma as a flash of light save them and getting them out of danger. They’re transported back to the fictitious temple with their Sechs Tavanel bearing new metal sole part. Two voices float in the air giving them a warning about the existence of a Dark Tavanel they will encounter during the tavanel cup. The two masters bestowed their blessings thru Wind Metal Sole and bid them goodbye.